There was a recent article in the New York Times, Sunday Edition, which stated super achieving moms on Wall Street have house husbands. This article examined the phenomenon of stay at home husbands. The article stated there has been a thousand percent increase since 1980 in the number of women working in finance on Wall Street who have stay at home spouses. The article pointed out the stay at home spouses allowed the women to be successful without having the responsibility of maintaining their household and raising their children. It is not unusual for successful women who work in large law firms to rely on a man to help take care of the children, deal with the family’s meals, and supervise the household chores. 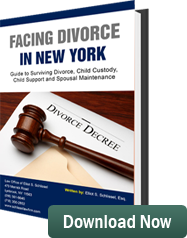 It is common for partners in large New York City law firms to either be single or to be married to someone who relieves them of their responsibilities in the home. Successful women are sometimes embarrassed to admit their significant others are raising their children and maintaining their home. There are a variety of reasons for this. They are concerned in the event of a break up of the relationship their significant other will get custody of the children. When a woman is the primary breadwinner, and the man maintains the home and takes care of the children, there is a change in gender roles. In some of these cases, men are reluctant to acknowledge they have exchanged the roles played by them and their female companion. However, in an economy where jobs are hard to find, the house husband should be grateful he has a very successful wife, or significant other, earning enough money to pay all of the family’s bills and to maintain the family at a reasonable standard of living. Family life requires sacrifices. If one spouse is the primary breadwinner, it is not unreasonable for the other spouse to maintain the household and help raise the children. Elliot S. Schlissel is a father’s rights lawyer. He has been representing fathers in divorces and child custody cases and child support cases for more than 35 years.